Do you know the best ways to increase instructional time in every class you teach? Classroom time management is probably one of the biggest obstacles for teachers at all levels. Getting students to settle down at the beginning of class, managing transitions, and quelling disruptions are just a few things that cut into teaching time. It’s been estimated that these moments can create a loss of up to two hours of instructional time per day. However, an extensive body of research confirms what many educators know from experience: rules and routines create engaged learners. Routines are the lifeblood of any classroom. Class time typically consists of administrative activities and transitional tasks as wells as instructional time. Teaching routines helps to keep these elements in balance and can help you to increase instructional time. Depending on grade level, there are any number of routines you can put into place. With rare exception, students like to know what to expect from the moment they enter the classroom door. How you use your time while your students are in class affects every aspect of your day. What could you do with another 45 hours of instructional time every school year? Efficient routines and procedures can net you up to an additional 15 minutes per day for teaching. Over the course of a school year, those 15 additional minutes will add up to 45 hours. Your PBIS program can be the key to an efficient classroom. PBIS helps to define expectations schoolwide and allows teachers to specify what those expectations look like in the classroom. PBIS Rewards supports these expectations by making it fast and easy to recognize positive behavior and acknowledge those students. For example, if one of your school’s goals is for students to be ready to learn, you might establish an expectation for your students at the beginning of class. Students would enter the classroom, take their seats, and have their materials out within the first two minutes of the class period. Once they have accomplished this you would recognize the students for meeting that expectation. If your school uses PBIS Rewards, this can be a simple process – acknowledge the entire class and give rewards points to the entire group with a simple click. That’s it – take 10 to 15 seconds to acknowledge an entire group of students and get back to teaching. Compare 10 to 15 seconds to the five minutes or more that action might take with a manual PBIS program. No handing out paper tokens, no tracking points on a spreadsheet, just simple and fast student acknowledgment and you’re teaching. Quickly move down a list of desired behaviors and acknowledge students as you go. The PBIS Rewards system tracks all of these points automatically. 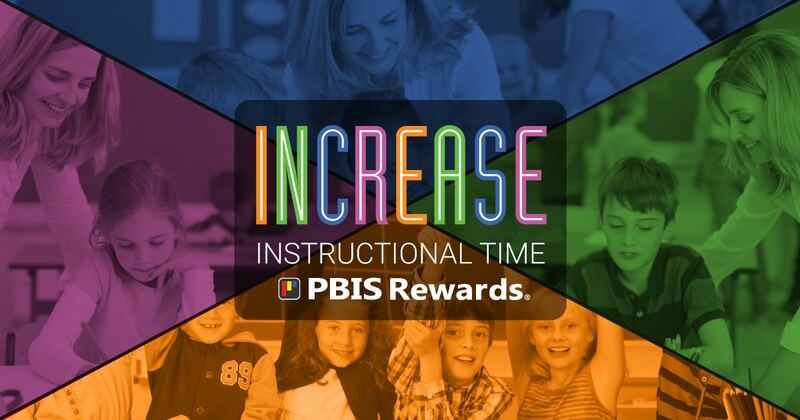 When it comes time to redeem points, PBIS Rewards tracks each student’s balance and purchases in your school and teacher stores. The entire digital token economy system is paperless, saving you (and your parent volunteers) time and effort, as well. Tightening up class routines and procedures will help you to increase instructional time in the classroom. PBIS Rewards can give you an additional boost in this effort. … PBIS Rewards can help make that happen for you! Want to know more? We offer free, live demonstrations of PBIS Rewards!